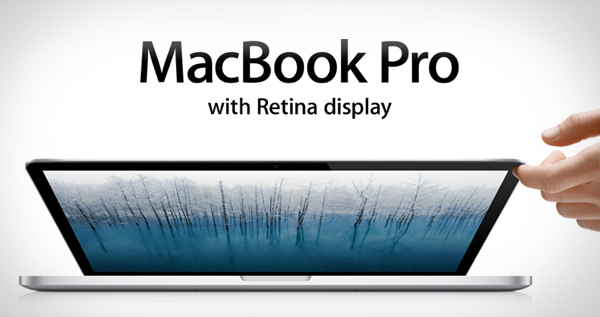 Home » Technology » How Does the Macbook Pro Retina Display work? The company bearing a fruit’s name is back with yet another innovation. Yes, the new MacBook Pro from Apple has stunning display quality that a notebook computer can ever be equipped with. Named ‘Retina Display’, this technology is bound to be a visual treat.The MacBook is a family of notebook computers, manufactured by Apple since 2006 and is powered by Macintosh (Apple’s Operating System). The latest release with Retina display is the most dramatic and claims to offer visuals as stunning as your imagination. This feature was first released with the iPhone and is also available with the iPod Touch and iPad 3. What happens when the human retina faces Apple’s retina display? The answer is ‘magic’. This mean machine has over 5 million pixels stuffed into its 15.4 inch screen. The pixel density is so towering that the human eye wouldn’t believe itself in comparison (am not kidding!). It becomes nearly impossible for the human eye to detect any visible pixels. With a screen resolution of 2880 x 1800, your High Definition pictures come alive on screen. The new display also cuts down the glare. The contrast ratio of the new MacBook Pro is approximately 29% more than its predecessor and a 1780 view gives you a new visual experience, practically from every angle. Hey wait! Everything can’t go this smooth. iFixit’s repair engineers have conducted a complete rip off of the display panel. The marvel of innovation (Apple) has discarded the glass panel of the display and has used the already existing aluminum frame as casing for the display. This has helped eliminate glare from the screen and also trim off some thickness. However, the display becomes a solo unit now and even the smallest of mistakes will unfold a series of consequences such as replacing the display unit itself. Also, the company has routed the screen hinges with cables instead of removing them and any breakage will result in full replacement of the screen (and everybody knows how expensive it is to replace the company’s display). The machine however looks promising in spite of these negligible flaws. The other features include enhanced battery life (even with the presence of a vivid display), flash storage (with ability to standby for more than a month), specifications, backlit keyboard and most importantly the brand name. Relish this product to the fullest before it begins to rot because replacing it is not going to be a task as easy as plucking apples from a tree.